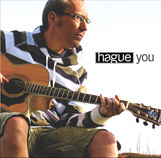 Hague's debut EP is now available, find more details below. Purchase the EP 'YOU' from Paypal. Download ‘YOU’ from iTunes & CD Baby.